New to all of this? Don’t fret! Get the Beginner’s Guide to Virtual Assistance and get started. No experience necessary! 'The guide is on its way to your inbox right now! Keep scrolling to see other cool things! Looking to hire a freelancer? Check out our match-making service! If you fit within these categories, I’m super happy you landed here on this website because I have the answers you have been seeking – and they all point to a career choice that’s future-proof and legit (no more MLMS or telemarketing gigs – phew!). My souls mission is to shed light on opportunities you may have never discovered nor considered previously. We all deserve to live more freedom and fun-filled lives, a career in Virtual Assistance can provide this. Our courses are designed to equip you with the skills, knowledge, community, & CONFIDENCE to kickstart your successful digital career. With over 8000 students from over 80 countries and a thriving community dedicated to supporting one another, Digital Nomad Kit is here to grow the remote revolution and you’re invited. This is our most popular course for those seeking a career as a Virtual Assistant or Freelancer. It has everything you need to succeed and more! Work with me privately for 3 months, together we’ll build your product or service based business from the ground up. When you work with me, your biz is my biz. Click to apply. Equip yourself with the knowledge and skills to build your very own website – and/or add WordPress services to your offerings! If you’re just starting out or need a brush-up, this is for you. You’ll learn how to use your existing skills (yes you have them!) to kickstart your online biz. Facebook is all the biz-rage right now, but you’re leaving money on the table if you aren’t rocking LinkedIn. Delivered by Samantha Gardner. Wanna become a kickass Virtual Assistant and have the ability to live and work anywhere? Our wildly popular free group challenge is starting again soon! Sign up to get notified – this is not for the lazy or faint of heart, arrive willing to show up and do the work to succeed! Sign up for info on the next dates! Hannah goes live almost every single week to part with her business sense. 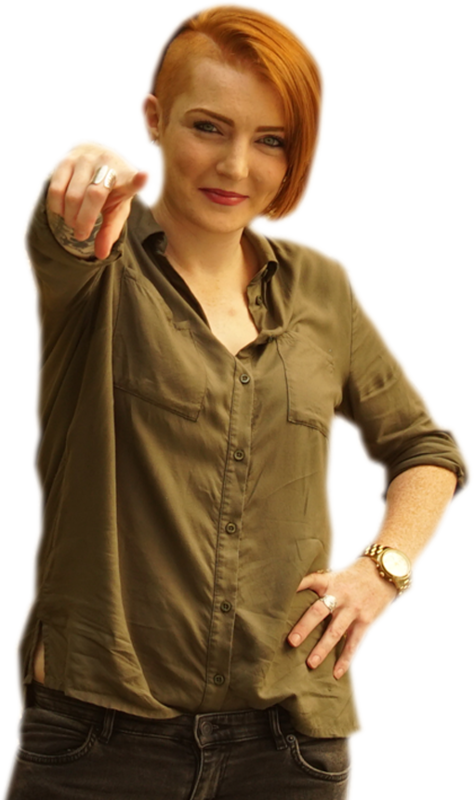 If she’s not – it’s because she’s got an awesome guest expert in to teach on a niche topic! 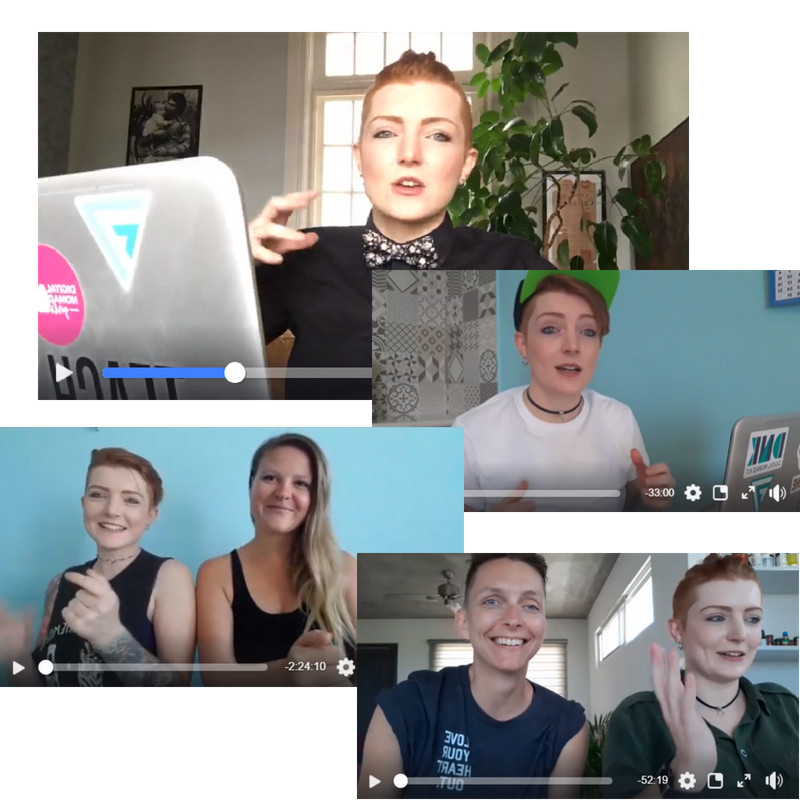 From virtual assistance tips, to how to work on a cruise ship, how to get a remote job or money mindset – Hannah teams up with the nomadic and business superstars to deliver live workshops for free over on the Digital Nomad Kit Facebook page and group. 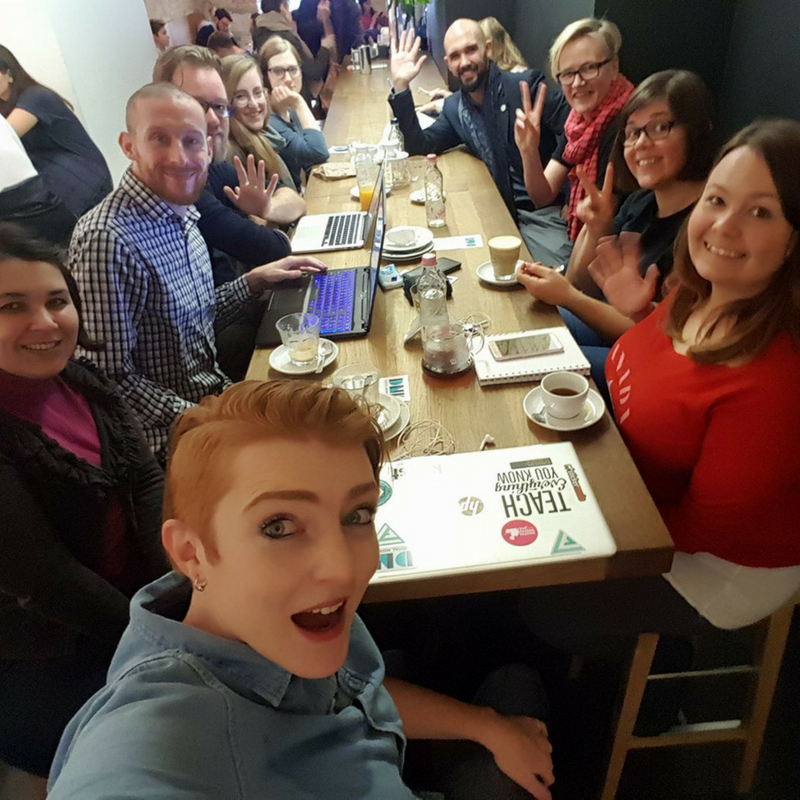 Our students and community members meet all over the world to mastermind, explore new cities, and drink lots of coffee! Whether through DNK organized meetups or member organized events, our community is tight-knit and comprises of some of the most supportive, invested and adventurous people you’re yet to meet. 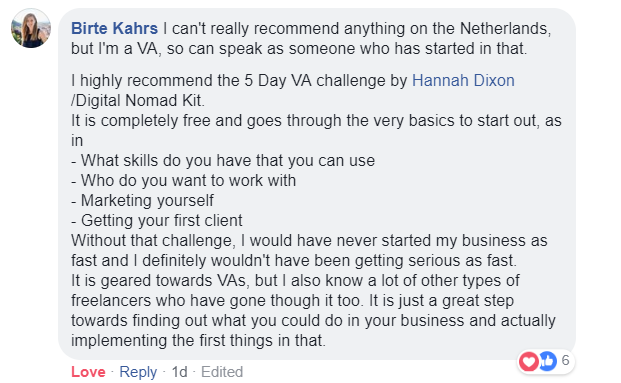 I went from not knowing anything about Facebook to being a totally booked out VA in just a few months! This training program is the only thing any new and aspiring online entrepreneur or VA could ever need. The support is simply priceless and I have gained clarity, clients, friendships and confidence in next to no time. Thank you Hannah! Find out everything you need to know and more about VIRTUAL ASSISTANCE and WORKING REMOTELY.